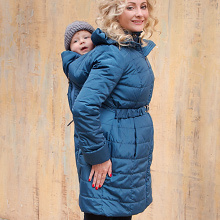 DIVA Milano is company developing and producing comfortable and ergonomic baby carriers, for newborns to toddlers, as well as comfortable and beautiful babywearing clothes, nursing and maternity clothes. It was established in 2011 as Partnership, later re-registered to LLC. Our products are developed in Italy (designs) and Russia (construction & testing), and produced in Portugal, Italy, India and Russia. We are in constant search of the best suppliers all over the world, and carefully select manufacturers, cooperating only with ISO certified factories, socially acceptable and environmentally friendly. Our main office is located in Portugal, with warehouses in Portugal and Russia. Follow our social pages! We regularly share news, reviews, arrange promos and giveaways! We have thousands of followers, become one of them!